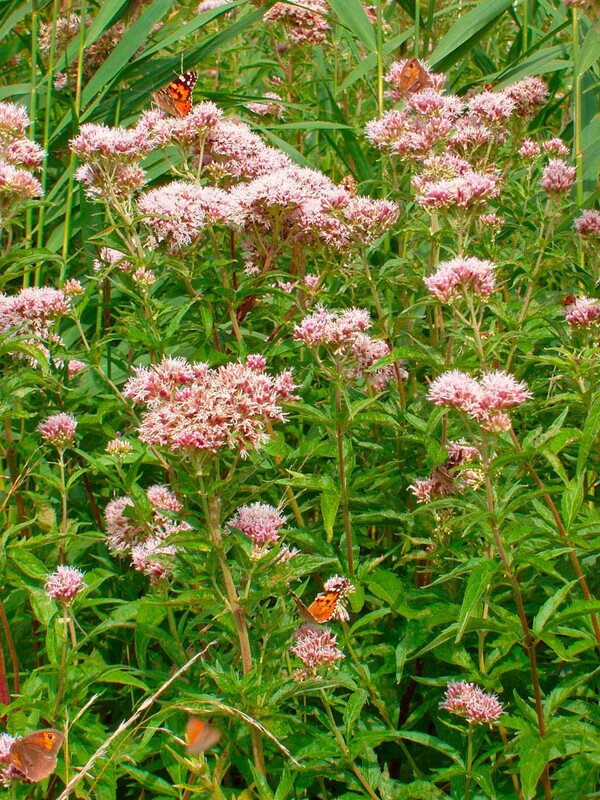 Hemp agrimony is a tall and handsome perennial with a reddish stem, hemp like leaves and numerous tiny pink flowers massed together into a large flat-topped head. 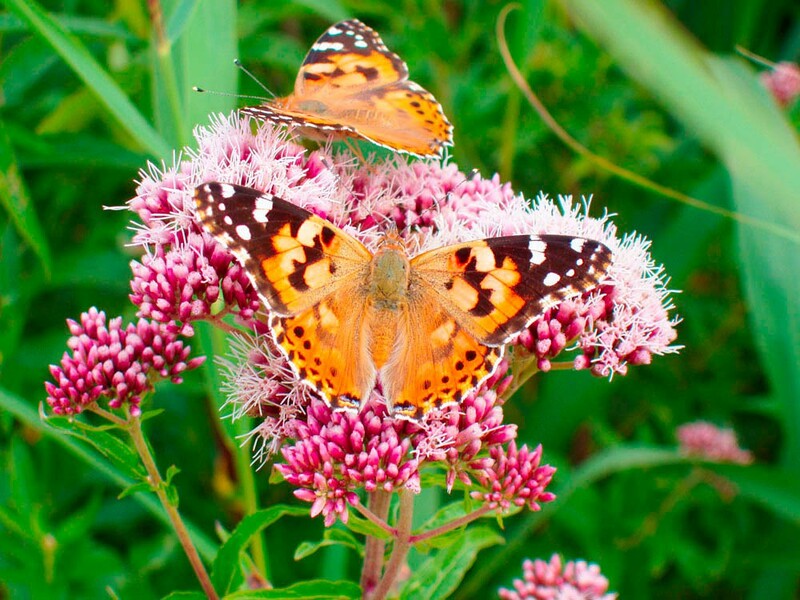 The flowers, which are out from July until September, are followed by five-sided seeds with a parachute of white hairs. 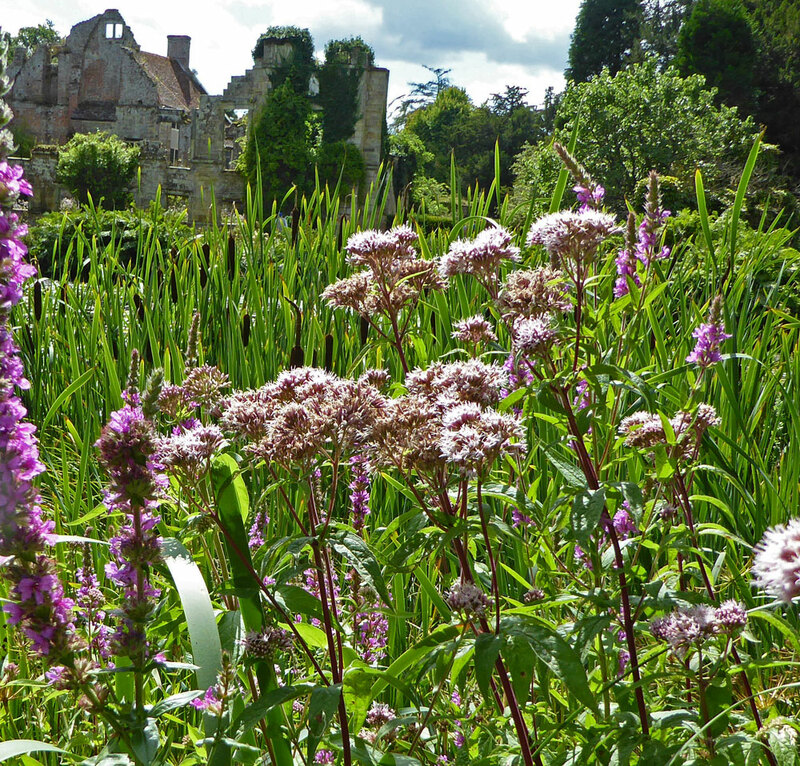 Hemp agrimony is a herb of base-enriched soils in a wide range of damp or wet habitats including ponds and lakes, rivers and canals, fens, marshes, wet meadows and wet woodland. 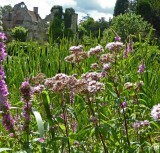 It can also occasionally be found in drier habitats including hedges and chalk banks. 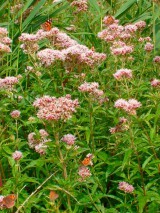 Few other native plants can be better at attracting butterflies than hemp agrimony.